doesn’t get any better than when the park service finally gets Trail Ridge Road cleared and open for business each year. 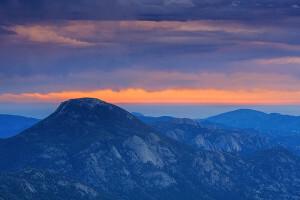 It signals the beginning of summer, a change in the weather as well as access to many part of Rocky Mountain National Park that would otherwise require herculean efforts to access. Photographers can now have access to many more area of the park to shoot and create images. Access to the west side of Rocky Mountain National Park is now a snap as opposed to having to travel around and over Berthoud Pass. The opening of Trail Ridge Road still requires vigilance. After it’s opening in May, Trail Ridge Road had to be temporarily closed down a few more times when it was again covered by snow. I made my first trip over Trail Ridge on Sunday June 1st. A dusting of light snow awaited me in the areas around Forest Canyon Overlook as well as the Rock Cut and Alpine Visitor center areas. It certainly did not feel like June 1st but then that’s to be expected at the higher elevations in Colorado where the push towards summer sometimes seems as if its being led by a pack of turtles. 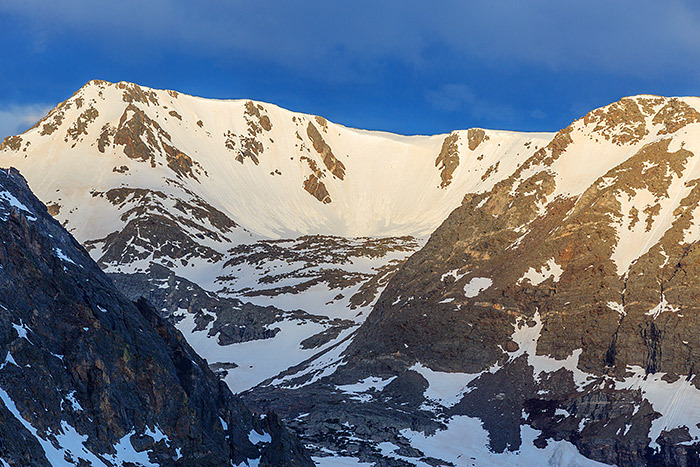 So with the high peaks still covered with lots of snow, an early trip over Trail Ridge Road can be rewarding for photographers. Locations that are accessible in summer only to the most determined adventurers such as the Hayden Gorge and Gorge Lakes area can be photographed across Forest Canyon with relative ease from overlooks and pull offs along Trail Ridge road. Unlike other areas of Rocky Mountain National Park, the ability to drive along Trail Ridge road allows you to take advantage of changing conditions and move locations quickly. You’re not committed to a long hike from which you are unable to change locations as conditions warrant. While I’ll take hiking to a location in the park any day over driving, being able to traverse lots of terrain quickly in one’s vehicle while conditions rapidly change can lead to a bonanza of possibilities. Sunday morning this worked quite well for me. Rain showers were moving over the Estes Valley and there was only a few small breaks in the cloud cover. Rainbow Curve provided the perfect location to photograph the muted sunrise to the east. The conditions in the sky were changing fairly quickly and it looked like the sun would break through some of the cloud cover, especially moving west along Trail Ridge Road. Rounding the bend near the Forest Canyon overlook I could see Mt. Julian catching dappled in speckled light as the sun broke through the cloud cover. Within a minute of setting of my camera and tripod the light had disappeared from the flanks of Mt. Julian. All in all another good morning on Trail Ridge Road. Did I mention how great it was to have it back open? Posted in Colorado, Photography, Rocky Mountain National Park on June 4, 2014 June 4, 2014 by Tom Mangan. ← Previous: "Change Of Plans"